I am sitting on a United airlines flight in the air 30,000ft above and I am in tears of humiliation from discrimination. The flight attendant asked me what I would like to drink and I requested a can of diet coke. She brought me a can that was open so I requested an unopened can due to hygienic reasons. She said no one has consumed from the drink, but I requested an unopened can. She responded, "Well I'm sorry I just can't give you an unopened can so no diet coke for you." She then brought the man sitting next to me a can of UNOPENED beer. So I asked her again why she refused to give me an UNOPENED can of diet coke. She said, "We are unauthorized to give unopened cans to people because they may use it as a WEAPON on the plane." So I told her that she was clearly discriminating against me because she gave the man next to me an unopened can of beer. She looked at his can, quickly grabbed it and opened it and said, "it's so you don't use it as a weapon." Apphauled at her behavior I asked people around me if they witnessed this discriminatory and disgusting behavior and the man sitting in an aisle across from me yelled out to me, "you Moslem , you need to shut the F** up." I said, "what?!" He then leaned over from his seat, looked me straight in the eyes and said, "yes you know you would use it as a WEAPON so shut the f**k up." I felt the hate in his voice and his raging eyes. I can't help but cry on this plane because I thought people would defend me and say something. Some people just shook their heads in dismay. "Tears of humiliation" over a can of Diet Coke? I have to admit that while that seems a little histrionic to me, a little too conveniently outraged, she's entitled to her own feelings and emotions. But there are a couple of things about her account I find interesting. First of all, I've never seen one instance on an airline of someone bringing a passenger a previously opened beverage can. The normal procedure is either (a) to open a midget soft drink can on front of you and pour the contents into a cup with ice or (b)to place the cup with ice on your tray, open the midget can in front of you and then leave it on your tray for you to pour yourself. The reason's obvious - they don't want any passenger cutting themselves opening an unopened can, disrupting the cabin service routine and suing the airline. The stuff about them being a weapon? Have you seen how small these cans are? Maybe in munchkin land in the Wizard of Oz, but not on my planet unless they were filled with explosives, something unlikely considering the already stringent precautions. Now, I also note that this happened on a United flight. I would not fly on United ever unless I literally had no choice. In my experience, they are one of the worst airlines going.You see, United is employee owned and heavily unionized, so there's very little beyond the most basic minimum accountability on anything for their employees, and for the most part that quaint art known as customer service is rarely if ever practiced. The last time I had anything to do with United was several years ago when my son was flying home from Chicago as an unaccompanied minor, which I paid extra for. Somehow, they 'lost' him, which I wasn't told by the good people at United. No, they left it as a happy surprise for me to find out when his flight landed and he wasn't on it. After being told twice snidely that they were 'making inquiries' about my young son stranded at O'Hare, I lost it, loudly in the middle of a crowded terminal with a lot of potential United ticket buyers looking on. It took a major public rage fit at top volume on my part and a phone call to them from my lawyer for them to suddenly 'complete their inquiries,' find my son and put him on the next flight home. The point I'm making here is that Ms. Ahmad might have had an altercation with one of United's flight attendants, but it might have had nothing to do with Islam. United says that the flight attendant 'tried several times' to fulfill Ms. Ahmad's drink request. Perhaps she didn't see the can being opened somehow, and her emotive complaining about it might have ticked off the flight attendant, especially a United one. Anyone who flies knows that upsetting the flight crew can definitely earn you some retaliation. 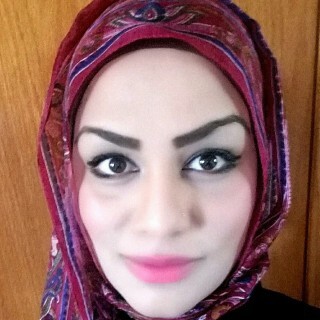 Or the flight attendant might have simply been having a bad day and after several attempts to please Ms. Ahmad simply told her whatever came to mind to shut her up and ignored her afterwards, leaving her with her 'tears of humiliation.'. With all due respect, I frankly have difficulty believing the next part about anther passenger cursing her out and using religious slurs. Her narration simply sounds too pat, too much straight out of CAIR's ridiculous 'flying while Muslim' storybook. Given what they throw people off of airplanes for these days, I'd want some unbiased witnesses before I credited this.In reality, it might have been someone telling her to shut up so he could enjoy the in-flight movie or get some rest, especially if she was sobbing her little heart out over a cup of diet coke. I also wouldn't be surprised if this wasn't Ms,Ahmad's first high profile grievance. Or if a look back at some of her past statements reveals that she isn't particularly tolerant herself. Needless to say, this incident is being trumpeted by CAIR and the other usual suspects as the reason to jump start a Muslim boycott of United.That could either hurt United or actually get them some additional business. I've already seen most of the joke ad slogans, so feel free to come up with yours. I would end by saying this. No one deserves to be treated badly simply because of their faith but I also think that Muslims need to look at it from the other side of the telescope as well. Before 9/11, flying was a lot more fun than it is now. Because both the Bush and Obama administrations for various reasons have avoided security steps like profiling, all of us, Muslims included, have had to put up with a number of increasingly annoying regulations and personal indignities, including invasive TSA patdowns and expensive scanner screens that don't work. Since then, we've also had underwear bombers, shoe bombers, imams on a plane who didn't need them demanding seat extenders (which actually can used as weapons) and acting in ways guaranteed to raise the suspicions of their fellow passengers, and a number of plots to blow up airliners, some of which came pretty close to succeeding. 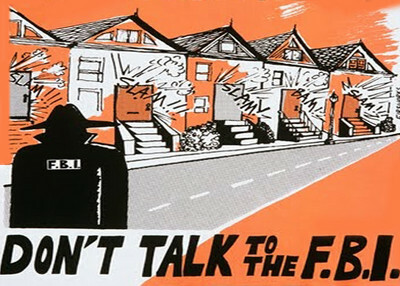 We've had the spectacle of Islamist groups like CAIR, MPAC, and others telling Muslims not to cooperate with law enforcement and the FBI in fighting domestic terrorism, something many Muslims have thankfully ignored. 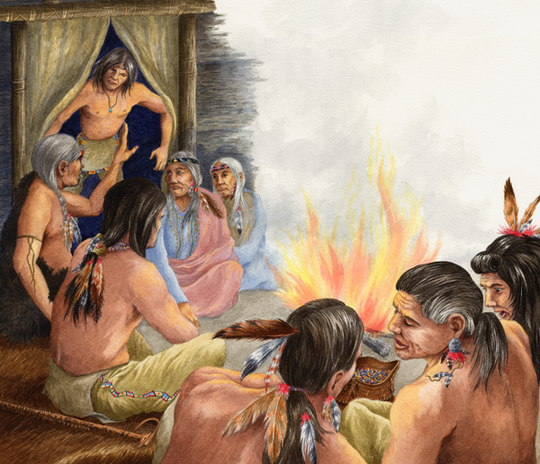 We've also discovered something else as a society in spite of numerous attempts to whitewash it. While the majority of the 1.3 billion Muslims in the world are happy to live peaceful lives, there are a significant number whom aren't, and whom see Islamist terrorism as a fully justified activity of jihad, as a holy act sanctified by their religion. And they are by no means a fringe element. It would be contrary to human nature for Americans whom aren't Muslim not to look upon those whom are with some degree if apprehension and suspicion, especially on a plane. And that's something I think Muslims ought to take into consideration when they consider how they behave on an airliner and whether it's really a good idea to ramp up tension in the crew or the passengers. Actually, I think that's true of everyone. But in view of recent history, perhaps thoughtful Muslims need to address that with special sensitivity. On Sunday, Islamic State forces captured Ramadi, routing the Iraqi army, many of whom literally fled from the scene, those that could. Over 500 Iraqi soldiers died in the assault, and the debacle came so quickly that substantial pockets of Iraqi troops were trapped there after taking heavy casualties. They aren't expected to hold out very long and I've already received reports that some of them have already been captured and executed by ISIS. Many Americans may recall hearing the name Ramadi before, and some might recall that quite a few American lives were spent in securing it. Here's why Ramadi matters. Look at the map above. Ramadi controls all of the traffic on the Euphrates River. It is only 68 miles (110 Kilometers) from Baghdad and opens the road to that city from the west, just as Fallujah, which ISIS also holds does from the east paving the way for a two-pronged assault. Also, ISIS captured the town of Jubbah in this new offensive, next door to Iraq’s biggest air base at Al-Ansar. That's where US soldiers, AKA advisers are trying to train Iraqi troops to fight ISIS, which so far hasn't been particularly successful. ISIS has also surrounded the oil-producing town of Baiji near Ramadi, where a small Iraqi army force of a few hundred soldiers is trying to hold out. It's probably only a matter of tie until they're forced to surrender or are wiped out. Our Secretary of State John Kerry announced from a news conference in Seoul, South Korea that as far as he was concerned Ramadi was " a target of opportunity" for ISIS rather than a carefully planed strategic offensive. "I am convinced that as the forces are redeployed and as the days flow in the weeks ahead that's going to change, as overall (they) have been driven back ... I am absolutely confident in the days ahead that will be reversed." Exactly what forces is Secretary Kerry talking about? True, the Iraqi government announced that "major military reinforcements" were being deployed to halt the advance of ISIS. The problem is that between Ramadi, the recent 'victory' in Tikrit (about which more later) and an attempted counterattack on Fallujah that went horribly wrong, the Iraqi army has very little strength to 'deploy' between ISIS and Baghdad right now. They're a badly defeated army that is incapable of an offensive against Islamic State right now. The only thing keeping ISIS away from Baghdad is a series of 19 U.S, airstrikes near Ramadi over the past 48 hours. Third place *t* with 1 vote –The Noisy Room – Di Blasio's "Contract For Communism"
Fifth place *t* with 1/3 vote –VA Right! - Bill Janis Unleashes the Flying Monkeys! Fifth place *t* with 2/3 vote -TeaParty.Org – Pamela Geller Plans Muhammad Cartoon Bus Ads for Washington D.C. submitted by VA Right! Yes, Marie Harf is leaving us, at least as a public figure in front of the cameras. She's been moved out of the public eye..ummm, promoted to a “new role” as senior adviser for strategic communications to Secretary of State John Kerry, where she will likely have to listen to him talk at length, poor thing, but at least won't have to face all those awkward questions in public any more. This, after being denied the usual promotion to Jan Psaki's old job after Psaki moved on to become White House Communications Director...heartrending. Marie Harf was at least entertaining, which is more than I can say for most of the current Regime. It was particularly comical when she was thrown a question on some of the ridiculous things she said trying to defend the regime's foreign policy faux paux. Her forehead would wrinkle, her eyes would grimace, those glasses of hers would slide halfway down her nose and you could literally see the tension as she tried to come up with something that wouldn't get her in even more trouble.It was like watching a hamster desperately running on the little wheel in her cage. June 3, 2014: In response to questioning by Fox News at the briefing, Harf downplayed criticism of the recently announced trade of five Taliban fighters for Bergdahl. She downplayed "conflicting reports" and "rumor" when asked about accounts from Bergdahl's platoon-mates that he walked off base. "There's a lot of rumor and telephone game that's being played here," she said. After continued questioning, she said: "It happened five years ago." Bergdahl would later be charged with desertion. Former commander of U.S. forces in Afghanistan Gen. Stanley McChrystal also told Fox News this week it was his initial understanding as well that Bergdahl walked off his base before he disappeared. Sept. 25, 2014: Harf was asked, in an interview with Fox News' Megyn Kelly, to respond to a warning that the U.S. would lose if President Obama did not approve ground troops to fight the Islamic State in Iraq. "I'm not exactly sure what 'lose' means," Harf said, arguing the solution is "targeted military action." She said the prior U.S. engagement in Iraq, with tens of thousands of U.S. troops on the ground, couldn't prevent terrorism. Feb. 16, 2015: Speaking on MSNBC's "Hardball," Harf suggested that jobs programs are needed to help take on the Islamic State. "We're killing a lot of them, and we're going to keep killing more of them. ... But we cannot win this war by killing them," she said. 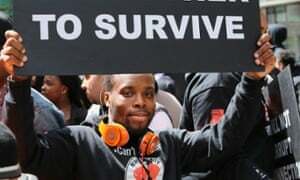 "We need ... to go after the root causes that leads people to join these groups, whether it's lack of opportunity for jobs, whether --"
Harf was interrupted by host Chris Matthews, who pointed out, "There's always going to be poor people. There's always going to be poor Muslims." She acknowledged there's "no easy solution" and said the U.S. would still take out ISIS leaders. But Harf said: "If we can help countries work at the root causes of this -- what makes these 17-year-old kids pick up an AK-47 instead of trying to start a business?" 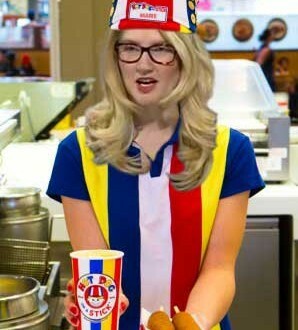 Feb. 17, 2015: Responding to critics of her remarks on helping fight terror by creating jobs, Harf said her statements were just "too nuanced" for her critics. "Longer term, we cannot kill every terrorist around the world, nor should we try," Harf said on CNN. "How do you get at the root causes of this? Look, it might be too nuanced an argument for some, like I've seen over the past 24 hours some of the commentary out there, but it's really the smart way that Democrats, Republicans, military commanders, our partners in the Arab world think we need to combat this." Harf went on to say the approach doesn't fit "into a sound bite." March 6, 2015: Fielding questions at the briefing about ex-Secretary of State Hillary Clinton's use of private email, Harf was asked if the department would release a 2011 cable -- obtained by Fox News -- showing her office told employees not to use personal email for security reasons. "I think everyone can read it at FoxNews.com," she quipped. She then assured, "That was in no way an endorsement," before adding: "I don't mean to be flip about it." When you're the Regime's foreign policy spokesmouth and even Chris Matthews isn't buying what's coming out of your mouth, it really is time to get out of Dodge. And the Regime figured that out, even if Marie Harf didn't. And that must puzzle her. She did all the right things...total Democrat, major Lefty, a real true believer. Why,she even wrote her college thesis on the awful way all those wack job Right Wingers and Evangelicals support Israel and how bad it is for U.S.foreign policy! How much more qualified for an Obama State Department gig could she be? And then straight outta college and into the Obama Campaign as a loyal soldier Down For The Cause, and then it all explodes as she gets banished off stage, with maybe a quick bit on MSNBC every once in a blue moon if she's lucky. I've seen some mean things (OK, some of them were pretty funny) on the 'Net about how stupid Marie Harf is. I don't think that's it at all. There were other things that screwed her up, if you ask me. When you believe in the godking from Chi-town and the accompanying dogma as much as she does, you have to really suspend belief on certain things that have come to light in the last six years or so. To an extent, you have to convince yourself that red is really is blue, that right is left and that the sun rises in the west. To do this convincingly, you have to be a really good liar, good enough to sell it to others. Mr. Bill is a great example. There's a certain percentage of America's population he could urinate on in public, remark to them about that sudden rain shower we're having and get away with it. Yes, I know, he's a pathological liar but at this point he's trained himself to actually believe what he's saying is truth, and that's invaluable to him. Plus Mr. Bill has another great tool that makes this work, an astounding memory. At his second inaugural, the teleprompters died, but Bill Clinton was able to rattle off the entire speech from memory. Can you imagine Barack Obama/Barry Soetoro pulling that one off? Just compare Bill's skills to those of Hillary, who's also a serial prevaricator but who frequently gets caught at it because her delivery lacks Bill's utter conviction and/or she forgets whatever lie it was she told before. Ah, but no more, Marie Harf. At least backstage working with the fog machines, you're still part of the show and afterwards, who knows? Maybe a book deal or a gig at MSNBC or one of the alphabet networks. Because being a True Believer and Down for The Struggle means never having to say you're sorry. Just ask George Stephanopoulos. Best of luck at the new job. Strange days, indeed..prescient, or just a reverberation? This week, The Pirate's Cove, Wolf Howling, Simply Jews and Seraphic Secret earned honorable mention status with some great articles. The Noisy Room – Di Blasio's "Contract For Communism"
VA Right! 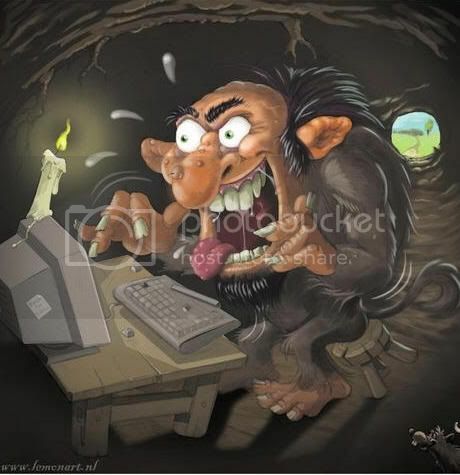 - Bill Janis Unleashes the Flying Monkeys! TeaParty.Org – Pamela Geller Plans Muhammad Cartoon Bus Ads for Washington D.C. submitted by VA Right! While a lot of attention is being paid to ISIS's successes in Iraq, few people have been watching the changes going on in Syria. As I predicted just shy of three years ago, Syria, a made up country to begin with appears to be fracturing pretty much along the lines I saw back then. Assad's hold on Syria depended on two things - how long the carnage could continue on one side or the other before it reached the point of no return and how long the Russians, Hezbollah and Iran would continue to support him. That point has apparently been reached with a quarter of a million deaths and the reduction of Assad's army from its beginning strength at 300,000 to something like 175,000 men from Assad's regular army, pro-regime Syrian militias and foreign fighters mostly from Hezbollah and Iran. He simply no longer has the forces necessary to hold all of Syria. And his allies are gradually moving on. 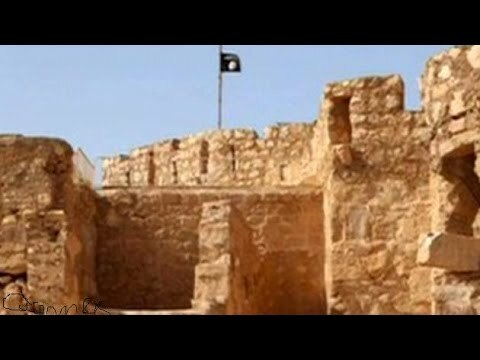 The latest gain for ISIS was their successful offensive on the ancient city of Palmyra in Eastern Syria,which gave them a strategic path to assaults on the regime's key cities of Homs and Hama. If they're successful, they would literally cut off Damascus from the rest of Assad's territory. Eye-witnesses have reported the streets are strewn with bodies – the latest victims of the Islamic State’s unrelenting savagery – on the same day photographs of captured Syrian soldiers have emerged. As an added bonus, ISIS freed a large number of jihadis held in Palmyra's notorious Tadmur Prison. What Assad is hoping for now is that he has enough troops to hold on to his strategic corridor in North and west Syria..Damascus, Homs and Hama and the coast areas of Latakia and Tartus, key cities where the majority of Alawites, Assad's Shi'ite oriented sect live. What he's doing is attempting a strategic withdrawal into territory his forces are better able to hold,something his allies are likely insisting on because their own commitments are becoming strained. For the Russians, supplying Assad with the tools of the trade has become an expensive proposition, one Russia has increasing difficulty meeting. Putin is still selling Assad ammunition and other supplies, but the Russians have cut way back on the more expensive toys like attack helicopters and are taking a wait and see attitude. As Hezbollah's casualties have increased in Syria, its leader Sheik Nasrallah has come under massive pressure to cut back on the number of troops being sent to Syria from Lebanon. Hezbollah troops are still fighting in Qalamoun along the Lebanese border,one of the few areas where the Assad regime is taking the offensive, but massive casualties incurred during Assad's failed offensive in February on Aleppo have taken their toll. This all puts a great deal of pressure on Iran. Aside from the financial cost, the strategic cost is huge. As Assad is forced into a defensive redoubt, the Shi'te bloc Iran thought it was creating from Tehran to Beirut is increasingly unlikely, especially with the pressure ISIS is putting on Iran's Shi'ite allies in Iraq. They will undoubtedly have to commit a lot more resources, human and otherwise just to keep Assad holding on. For Basher Assad, his task will be to hold on to Damascus, the highways between Damascus and Beruit and Damascus and Homs, as well as the coast cities like Latakia and Tartous. With his reduced supply lines and less territory to defend, Assad has a decent shot at hanging on, especially since his part of Syria would contain about half of the country's population. And the rest? The Kurds, at least the ones in the enclave just across the border from Iraqi Kurdistan will likely link up, as will the ISIS held areas within those two countries, providing Assad manages to hold on. One wild card in the deck is al-Nusrah, officially an ISIS ally, but my sources tell me they're making noises about a mini-emirate of their own in the territory they hold in the North around Idlib.So we could even see a three way shootout. And if Assad can't hold, especially Damascus, we're looking at a major bloodbath, even by Syria's standards. And Iran and Hezbollah maybe faced with either being split by ISIS or committing to a major war. Oh, by the way, both al-Nusrah and ISIS are now essentially on Jordan's northern border, and Israel's Golan. UPDATE: ISIS, following up on their victory in Palmyra made a classic strategic move with an assault in Aleppo Province on the small town of Sawran, which they now control. From Sawran, ISIS is within striking distance of the small city of Azaz on the Turkish border. Azaz is now held by the al-Qaeda affiliated Al-Nusra and their militia allies from Harakat Ahrar Al-Sham and Liwaa Al-Tawheed. They also hold much of Aleppo, Syria's second largest city and its commercial hub. If ISIS takes Azaz, they control not only the main border crossing from Turkey but al-Nusra's life line into Aleppo for supplies, arms and fighters. ISIS would control Aleppo, and it would be only a matter of time until they take the city. This was a smart move for ISIS. The al-Nusrah forces have not recovered yet from Assad's unsuccessful assault on Aleppo, and neither have Assad's forces,whom are busy consolidating their lines anyway. So rather than drive directly from Palmyra towards Homs and Hama, ISIS is eliminating a rival (I doubt we'll hear anymore about a separate al-Nusrah emirate), setting the stage to take Aleppo and then hit Assad from two points - in the southeast from Palmyra toward Homs and Hama and from Aleppo in the northeast. These are the people our dysfunctional president laughed off as 'the jay vee team' in between golf games. Bookworm Room: I like Don's pithiness. I'd add only that I prefer a prepared (i.e., armed and educated) citizenry to a dangerously overreaching government. 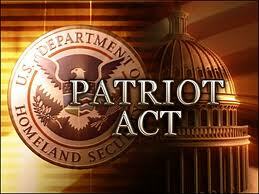 The USA Freedom Act (H.R. 2048) passed the House by a 338-88 vote this month. It restricts the bulk collection of these massive amounts of calling records (metadata) under Section 215 of the Patriot Act. It limits collection to instances where there is "reasonable, articulable suspicion" that a "specific selection term" used to request call detail records is associated with international terrorism. The government must use a specific selection term, which represents an "individual, account, or personal device." This should end the bulk collection of everyone’s phone records and is a move in the right direction to targeting a specific person and communication device; someone deemed to be a person of suspicion with intent to commit acts of terrorism. The House bill also requires the Foreign Intelligence Surveillance (FISA) Court to have more transparency, and puts much needed restrictions on the activities of the NSA. 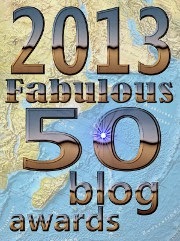 It’s a weekly magazine of some of the best stuff written in the blogosphere and you won’t want to miss it... or any of the other fantabulous Watcher’s Council content. And don’t forget to like us on Facebook and follow us on Twitter... ’cause we’re cool like that, y’know?
" 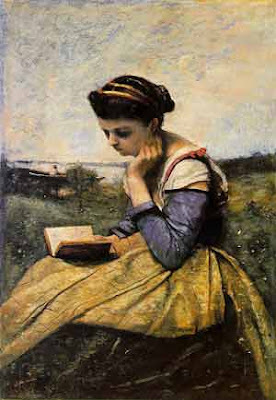 It has been frequently remarked that it seems to have been reserved to the people of this country, by their conduct and example, to decide the important question, whether societies of men are really capable or not of establishing good government from reflection and choice, or whether they are forever destined to depend for their political constitutions on accident and force." The Baron looks at western society's surprising tendency to whitewash Islamist terrorism, deliberately distancing it from its obvious religious inspiration and even blaming the victims on many occasions for the ensuing atrocities. I think he's on to something here when he talks about a certain very prevalent mindset as the cause of this dysfunction. 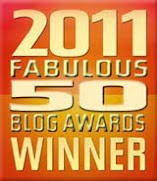 Third place *t* with 1 vote –The Glittering Eye -Why Did ABC Hire George Stephanopoulos? 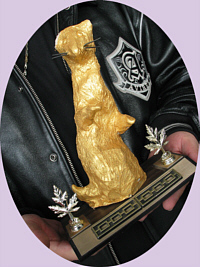 nce again, It's time to present this week's statuette of shame, The Golden Weasel!! The Clintons' Own Media Meat Puppet George 'What Donations?' Stephanopoulos!! Williams at NBC casually mixed fact with self-aggrandizing fiction. 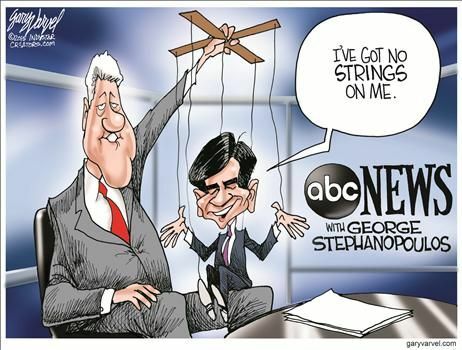 Now George Stephanopoulos is caught in a Clinton web of deceit at ABC. Cronkite, that's the way it is, and the way it is stinks. Clinton Foundation and contacted ABC for a response. he reported on it and the Clintons. W. Bush. Boy, pot meet kettle. media shill - he's done. Another Progressive weasel gets whacked. Ah, yes, the Clinton's own Greek Trojan Horse.Actually even more of interest than the donations to me - after all, $75K is just a step above pocket change for a media talking head with an 8 figure yearly income - is the huge amount of time Stephanopoulos spent working for the Clinton Foundation h0sting events and quite possibly inducing others to donate. Since that foundation appears to be nothing more than a way for the Clintons to park tax free income for selling their offices their influence, and their country.Did George receive some of the swag for his complicity in this? I wouldn't be at all surprised. Nor do I think he'll be fired. The strategy the Clintons and their ilk pursue is lie, deny and delay, and media whores like Stephanopoulos aid and abet them. Six months later when the truth comes out, the American people are tired of hearing about it and weary of trying to fit all the convoluted pieces together, so it recedes from the public consciousness. But we honor Weasels here, do we not? And George Stephanopoulos appears to be a weasel second only to his owners, the Clintons. Please come up and get your statue. Ah, Lah Lah Land! While it's not quite the People's Republic yet, it's getting there fast, with a nice side order of corrupt banana republic. Proponents of the new law responded that they had done some research..from the Institute for Research on Labor Employment from University of California, Berkeley. And Berkeley, or Berserkely as we natives fondly refer to it, has a certain reputation in matters like these as some of you may know. So, how will this new law effect Los Angeles? Believe it or not, a lot of the workers whom were egging the council on to pass this will end up far worse off. The first thing that will happen is that lots of them will be fired. If you own a small business where you were paying people $12 an hour and you now are mandated to pay them $15 per hour so your bottom line costs go up 1/3, you'll either raise your prices (which will cut into your business), cut your work force by 1/3 or both. Or you'll move somewhere else. San Francisco and Seattle, aside from their radical politics are both fairly small cities. San Francisco in particular is somewhat isolated on its little peninsula unless you take the ferries or pay toll to use the bridge, and it has the advantage of being a major tourist town. so it's a lot easier to get away with this there, to an extent. Los Angeles isn't like that at all. It's a large, heavily populated area clustered with smaller, independently incorporated cities like Glendale, Burbank, Torrance and Calabasas.All of them are thriving because they've avoided L.A's ridiculous restrictions, costly permits and high taxes on business. The result is that when people start a business , lots of them do it outside Los Angeles unless it's something like a franchised fast food restaurant like a McDonald's where their location is mandated by the franchise. This does not do wonders for the city's tax base. Next, the ones that still have jobs will be introduced to the wonders of unsubsidized ObamaCare and life without food stamps, section 8 rent subsidies or earned income credit refunds on their federal taxes, because they will no longer qualify for them. And finally, those of them whom work at jobs where tips are a big part of their income can largely forget about that. In Seattle and San Francisco,the new normal is 'service charges' and no tips. In Seattle, the service charges are running a hefty 18.5% at restaurants like Ivar's and the Whale Wins. And no, the wait staff doesn't get that, the restaurant does to offset that $15 per hour wage, although some restaurants might choose to share a portion of it with the help..who will now be taxed on every cent they receive. Or, since people will be eating out less because the service will deteriorate and the cost will be much higher, restaurants will need those service charges to stay in business. Yes, those waiters and waitresses who used to make more than their co-workers by hustling and taking good care of their customers will have absolutely no incentive to do so. Talk about penalizing hard work and enterprise! I can just imagine how that's going to work in a spread out, car friendly city like Los Angeles. People will eat out less, or they'll travel outside the city limits to do it. One huge trend in the L.A. area is specialty food trucks featuring gourmet and ethnic cuisine, and I would expect them to get a lot more business as well, since they're mostly small, family owned businesses. I can hear the wheels turning in those of my reader's heads with socialist leanings. "Why, we can just mandate it in all of L.A. County. Or in all of California! And why not a federal minimum wage law? No one will be able to avoid it then, bwah ha ha ha!" Minimum wage jobs were never intended to be careers. They were always intended to be one of two things. Either they were entry level positions, with the low starting salary a sort of compensation for the employer training you and taking a chance on someone without experience so that you could either move up where you were or find a better paying position as an experienced worker elsewhere. Or they were a stopgap, a temporary situation designed to keep things together until you (a) got that big break (b) finished your schooling or training for something better or (c) were ready to move on somewhere else. I've had such jobs before. My very first one, at age 15 was working at a gas station owned by a friend of my father's after school. I swept up, pumped gas, checked oil and tires and even did the odd lube job or tire change. I was absolutely thrilled to have it, even though I was paid in cash at slightly less than the minimum wage back then.Aside from being able to give my parents a little money, it meant I had money of my own to spend (there was no such thing as allowances in my house), and it introduced me into the adult world of work and responsibility. That experience was one of the many things I have to thank my father (Z"l) for. No, I never had to support a family on that. But then, it never would have occurred to me to start a family I couldn't support either. Attempts like this to bypass economic man never really work. What you end up with is collective misery and massive corruption as people do what they need to do in order to bypass the system. Just talk to anyone who used to live in the Soviet Union. Our own Tom White at VA Right continues his sucessful march to become the Guru of Virginia political bloggers with a radio interview May 16th with John Fredericks, the biggest talk show host in the state. 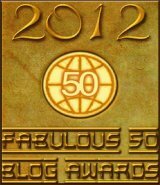 This week, The Pirate's Cove and Le·gal In·sur·rec·tion earned honorable mention status with some great articles. The Glittering Eye -Why Did ABC Hire George Stephanopoulos? 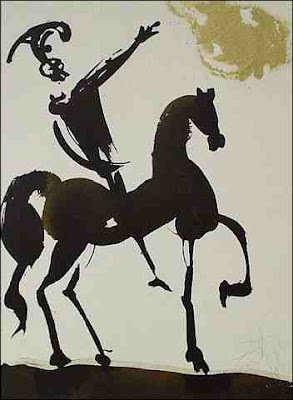 Le·gal In·sur·rec·tion - Kurdish Revolt Against Iran Brewing? SooperMexican – Revealed: Ferguson Protests Were BOUGHT and PAID For By ACORN Successor submitted by VA Right!